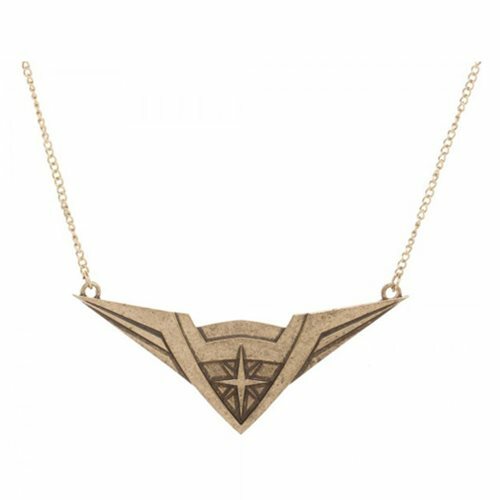 This graceful necklace matches the tiara normally worn by Wonder Woman. It's gold chain and intricate design make it an ideal addition to any outfit honoring our favorite amazonian warrior-princess. It's accuracy and stylishness make it a great addition to any fan's jewelry collection. Ages 14 and up.